I haven't updated my iPhone X to iOS 12.1 yet because it includes the controversial battery performance feature for 2017 handsets. At some point I will update, but not until I've thought about this a bit more. 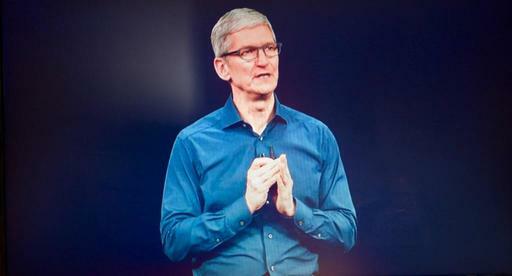 My understanding from Tim Cook and Apple was that the advanced hardware in the iPhone X would not require iOS battery performance management. Based on what we see in iOS 12.1, that isn't the case. All of this may be moot for me anyway. A year ago, I decided to learn more about taking care of my iPhone battery, using the new handset as a fresh start for a different approach. In the article, A New Way to Charge My Smartphone, I outlined the basic changes I was making. Essentially, I no longer leave the phone plugged-in at night, opting instead to top it off during the day when it's around 50 percent. 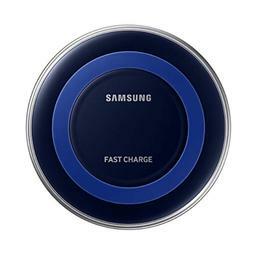 In part, this became easier thanks to the Samsung Qi Certified Wireless Charger Pad I keep on my desk at the studio. I just plop the iPhone X on it, and refreshing the battery is easier than ever. So now, a year later, how did my grand experiment work? It appears quite well. I checked my Battery Health (Settings > Battery > Battery Health) to see that my Maximum Capacity is at 97 percent. It also reads that the battery can support normal peak performance. Great news! My "new way" to recharge my phone has become second nature. 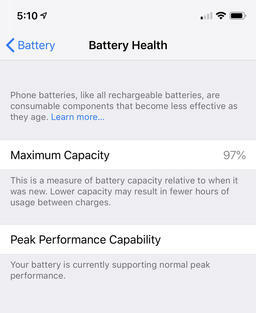 How big of an impact on my battery health does this approach have? There's no way for me to know without running a side-by-side test. But after a year of rigorous use, I'm happy with 97 percent. It will be interesting to see what battery health is in November of 2019. As for the update to iOS 12.1. I'm going to sit tight for just a little while to see if Apple responds to the criticism about adding performance management for its 2017 handsets. Through future updates, they may add further enhancements to the tool that might make it a bit more appealing. My understanding is that I can turn it off if I wish. But something a bit more refined other than a binary "on or off" approach would be even better. One final note on the iPhone X - Over the last year, it has performed very well. Battery life is excellent, and I seldom find myself below 25 percent. The camera is wonderful, as is its overall responsiveness. I really like it. If I can continue to maintain good battery health with this handset, I can see me using it for quite a long time. And in this era of disposable devices, that would make me very happy.